Gamma-Psi Chapter of Lambda Chi Alpha at Lehigh - Lost Touch with LXA? It's Easy to Reconnect! Lost Touch with LXA? It's Easy to Reconnect! 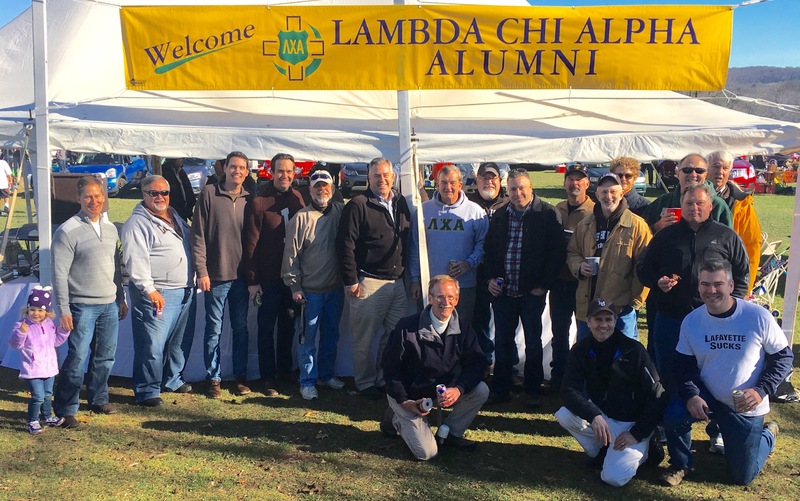 When we joined Lambda Chi Alpha, we didn’t join just to spend three or four years together. We joined to get a lifetime of brotherhood. So if you feel out of the loop, we want to make it easy to get right back in. We know it’s easy to get lazy, to lose touch without meaning to, to glance at these eLetters and decide you don’t have time to engage any further—we’ve all been guilty of that. But our site is like our own private version of Facebook, and these features make it simple and painless to stay connected, no matter how long it’s been or where you are in the world. Click on “Connect” under the Home tab to get started. Click “About Me” to edit your profile and add your contact info, grad year, and other details. You can also upload a profile photo and/or background photo. Use this same page to post a quick update (like a Facebook status) or start a discussion that others can respond to. You can search the ENTIRE Gamma-Psi database right on the website. Just hover over the Home tab, then “Connect,” then click “Search Members.” Once you’ve found who you’re looking for, you can add them as a friend to easily access their page later, contact them, and see all their updates. Don’t quite remember someone’s name? You can still search by grad year, nickname, state, and more! It only takes a minute to let your brothers know what’s new in your life, and it helps us all stay familiar! Have you had a new child or grandchild? Gotten married? Moved to a new place? Started a new job? Whatever’s new with you, don’t convince yourself that no one wants to hear it—let us know by submitting it here! Just like your Facebook news feed, you can browse through everyone’s updates on the Alumni Updates page. They’re grouped by era, so you can easily see what’s new with everyone from your years. How many of you are sitting on some golden Lambda Chi throwback photos? We’d bet there are quite a few of you! You can easily upload photos and create photo albums that function just like Facebook photo albums. Click on the Photo Albums tab to see everyone’s albums, then create your own, or go to an existing album and click “Add photos to this album.” You can even tag brothers in photos and leave comments. If you need help with or have questions about anything on the site, don’t be shy! Visit the Help page to contact us—we’re more than happy to help you get acquainted!